Thanks girls for a fun class. 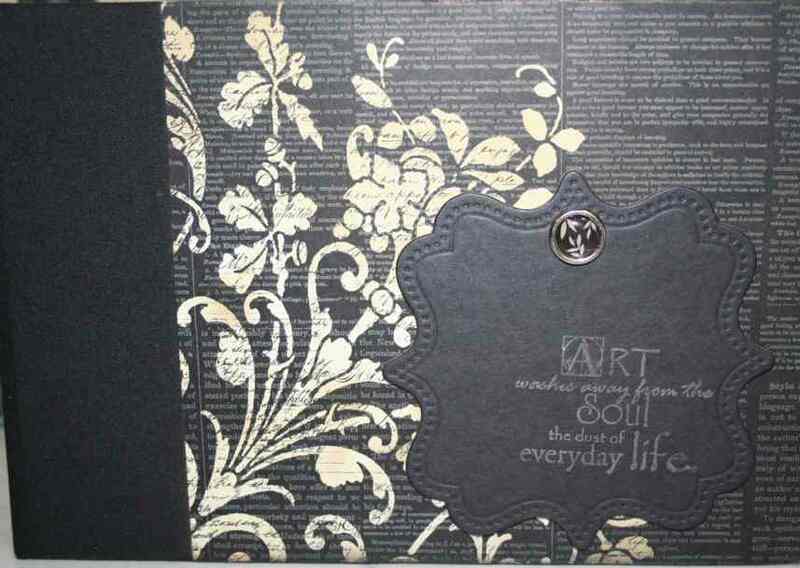 Your pages looked fantastic. Well done all of you!! a class of 8 is a great number to manage. I am grateful that you all still like my work and attend my classes. It means a lot to me. many thanks. 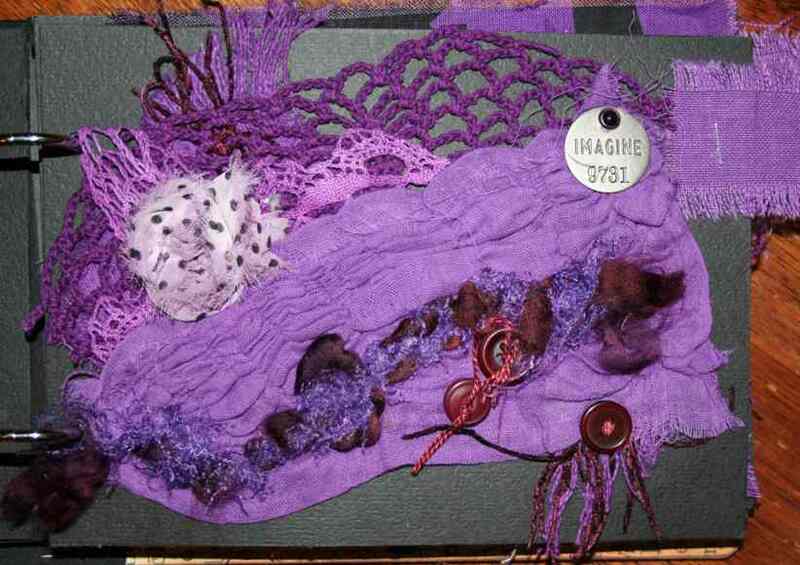 This book consists of some of my over-dyed fabrics. 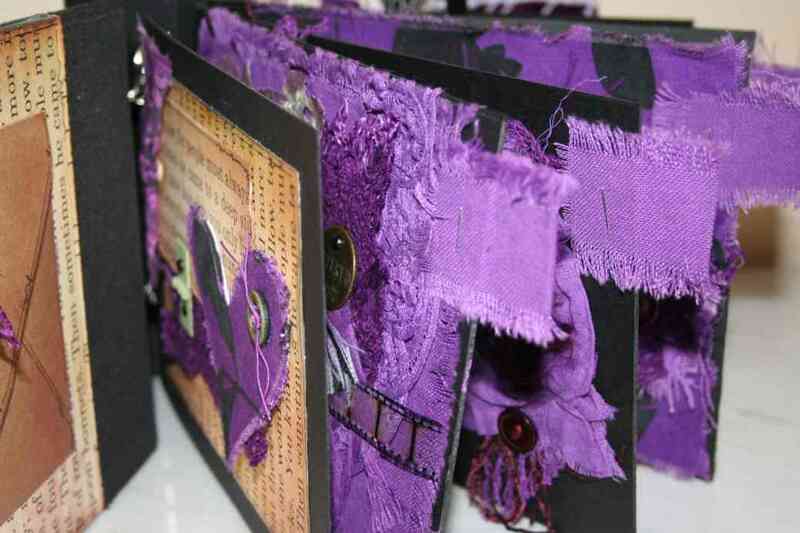 ONE of our projects was to create something using some of our dyed fabrics. I have made a BAG which I will post later next week. BUT GUESS WHAT I REALLY WANTED TO MAKE ??? YES A BOOK !!!! SURPRISE, SURPRISE?? there are 6 pages in total. I used shades of purple and pink throughout the book to keep the theme flowing. 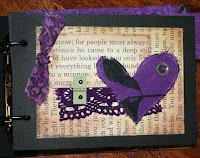 this page is named "IMAGINE" I added a Tim Holtz disc. very shabby chic for me don't you think?? The page consists of old doillies and cloth serviettes I collected from a opp. shop. also wool, buttons, and metal. I had fun covering the heart with fabric! the cover ---- a dramatic black and white. I will post more pages later. Thanks for a great Class Heather, we all love your style and generous spirit. It was a gorgeous book Heather. Sarah from marden here.